Design a hamper to suit your budget from a huge selection of natural food & drink, personal care and cosmetics goodies in the Bridge Street store. You can even theme it for someone who will appreciate you going to the effort of creating a plastic/vegan/gluten-free parcel. 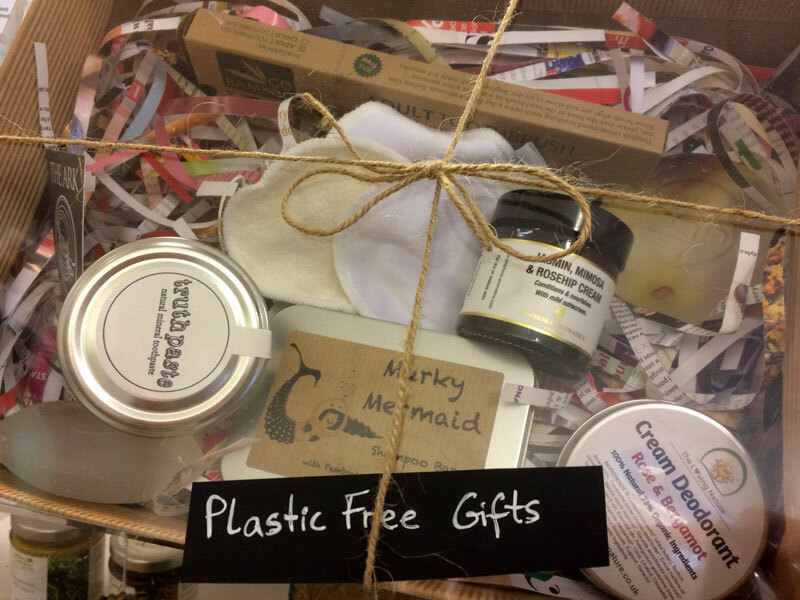 Plastic free ideas include; TruthPaste toothpaste, wooden toothbrush, cream deodorant (local company), shampoo bar (from St Davids), soaps, make-up remover pads and even chewing gum. 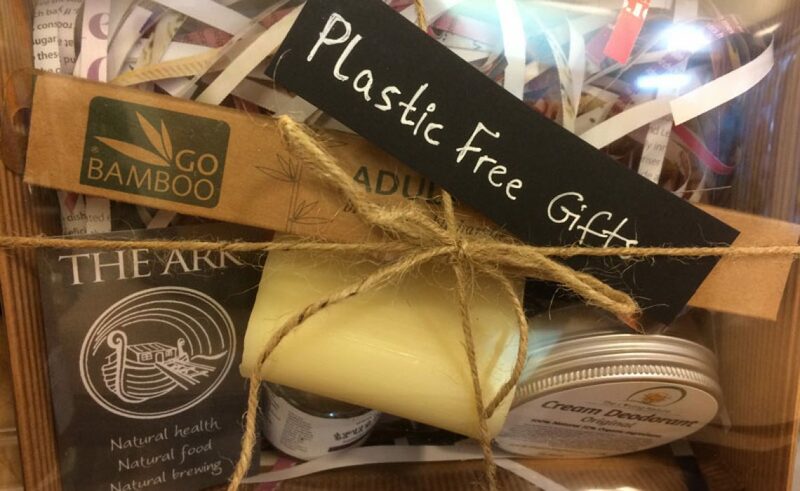 General Christmas goodies ideas include; vegan cosmetics, chocolates (sugar free, vegan, gluten free), vegan goodies, festive spicy cordials and superfoods. Pop in to the store to create your hamper and the team will arrange the products and wrap it for you. If you’re limited for time, gift your loved one a healthy experience. 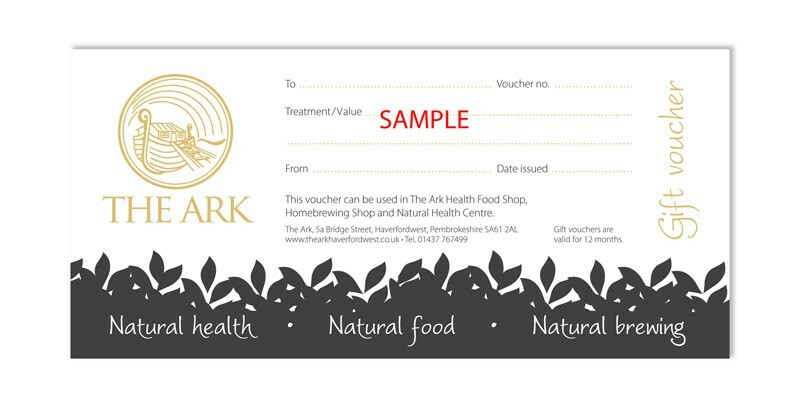 The Ark offers gift cards redeemable in the shop, the clinic or on a treatment with one of their therapists. Visit The Ark website to purchase one or email the team. 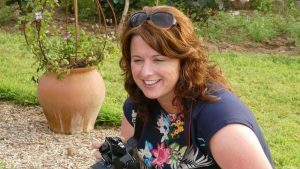 Founder of Life Seeker, passionate about adventuring in West Wales, living simply and inspiring others to find happiness through positive living. Designer. Marketing specialist. People person.